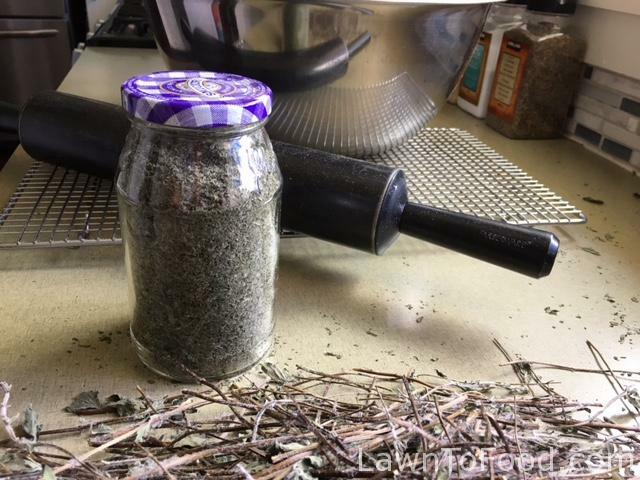 It’s the first day of summer, which makes it the perfect time to preserve herbs. 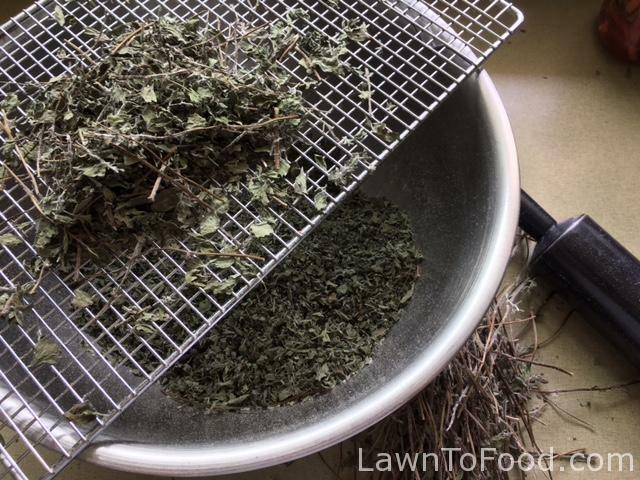 Last night, I cut down my entire Oregano and Tarragon plants and placed them in the dehydrator. For the Oregano, I dried the entire stem intact so as not to waste time plucking off individual leaves. 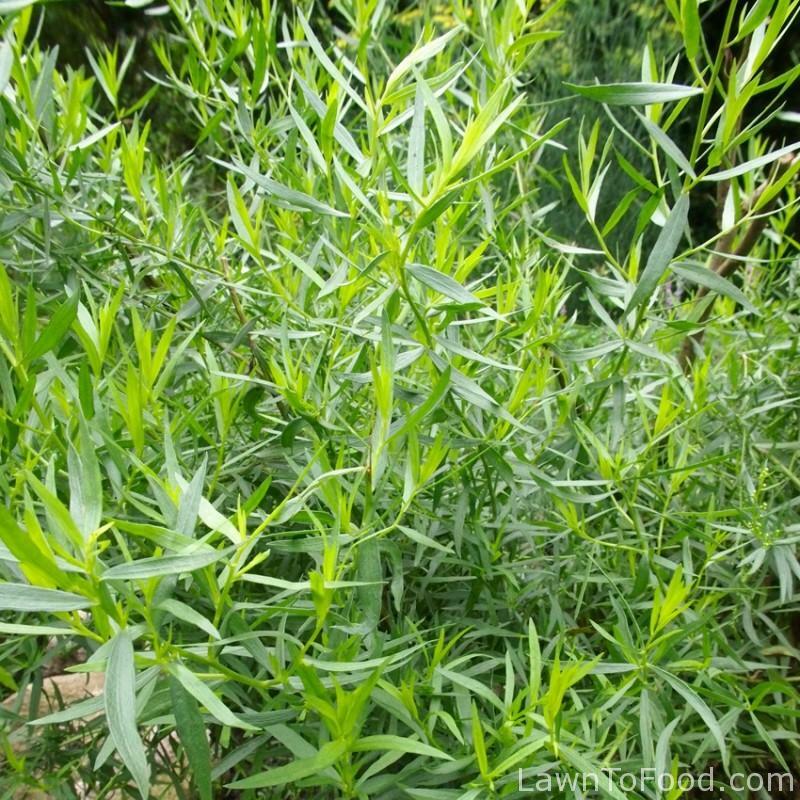 The Tarragon was about 3′ tall with 1/2″ thick stems. 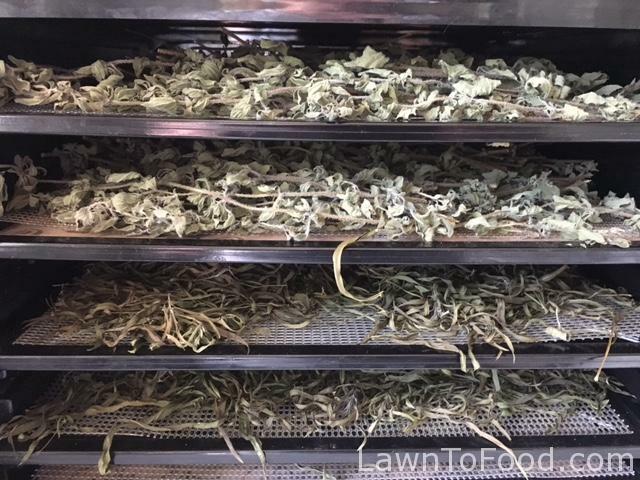 I removed those leaves by sliding my hand down the stalk so they would fit in the dehydrator. Oregano ready dry, before it flowers. I jam packed the dehydrator, stuffing it with handfuls and handfuls of herbs. I set it to run at 115F overnight. This morning the herbs were crispy dry. Two layers of Oregano on the top and Tarragon on the bottom trays. I started with the Oregano by carefully placing it into a large paper bag. After folding closed the top of the bag, I bashed the contents with my rolling pin until it flattened out enough to roll. 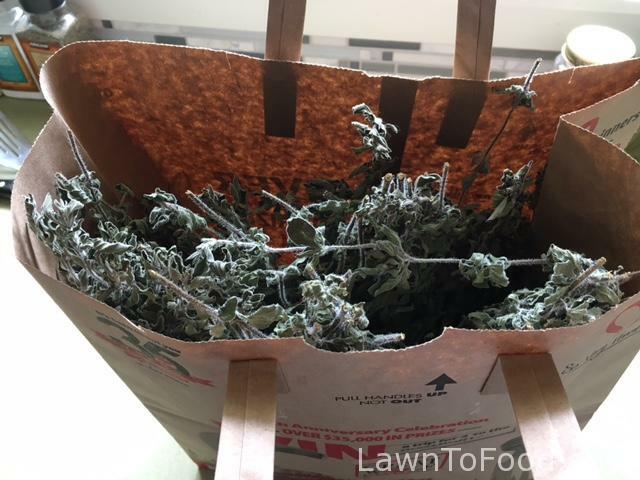 Within a few short minutes, the stems were easy to removed from the bag, leaving behind the dried leaves. To further sift the stems away from the leaves, I used a cooling rack over a large bowl. By gently rubbing handfuls of Oregano over the meshed cooling rack, I removed the majority of stalk. At the end, I rubbed the leaves between my two hands crushing them to the consistency that I desired and plucked out the last remaining twig bits. 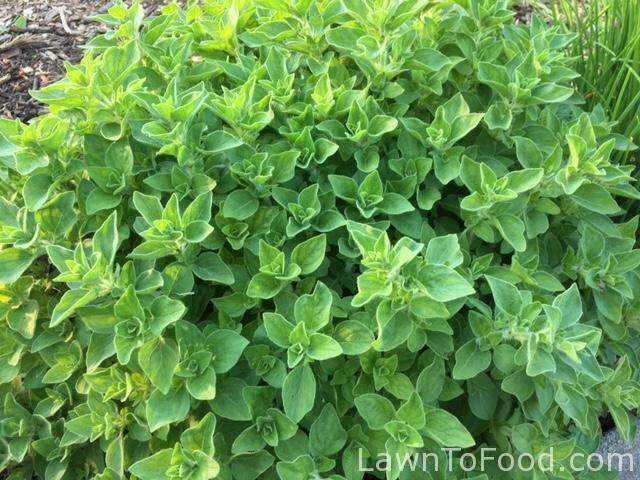 Dried Oregano will last a year or two in an air tight container. I use this versatile herb in bbq rubs, tomato sauces, on pizza and in my Greek seasoning blend. The dried Tarragon headed into the paper bag next. 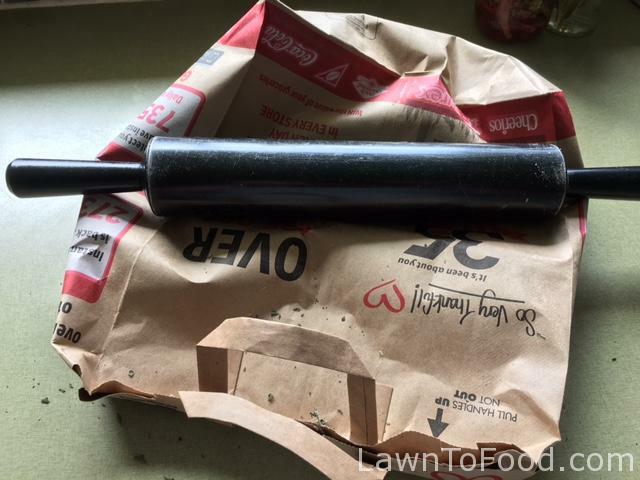 I bashed and rolled the pin over the closed bag until it was flatter and made less crunching sounds. 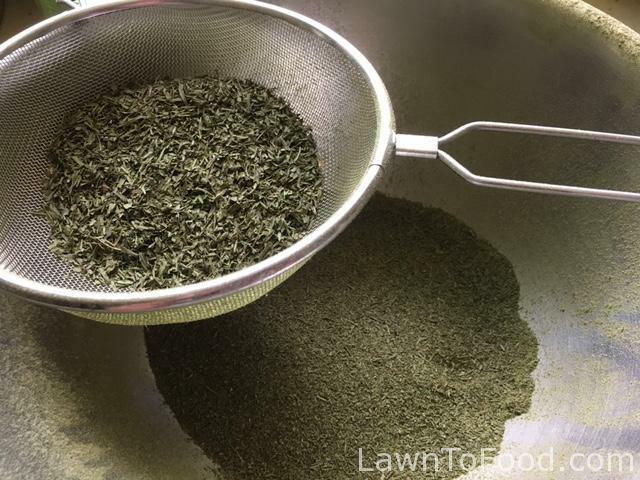 I prefer small particles of Tarragon so I used a fine mesh sieve to accomplish that. I swirled my hand in the sieve forcing the leaves to breakdown and sift through. 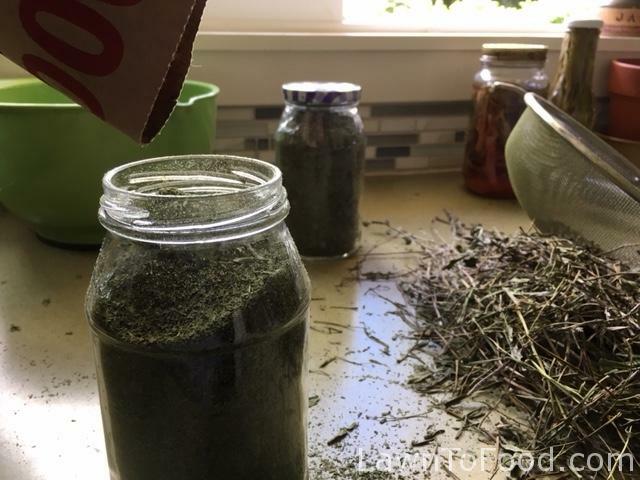 To pour the crushed herb from the large bowl into a narrow-mouth jar is difficult, so I just dumped it back into the paper bag. 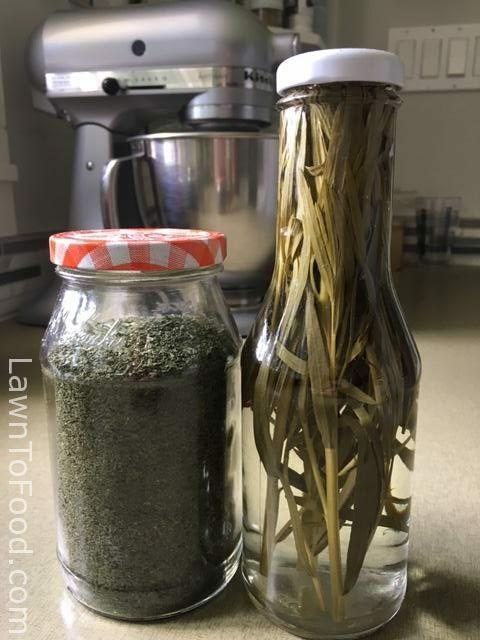 Using the paper as a funnel, the Tarragon flowed into the storage jar quickly and easily. 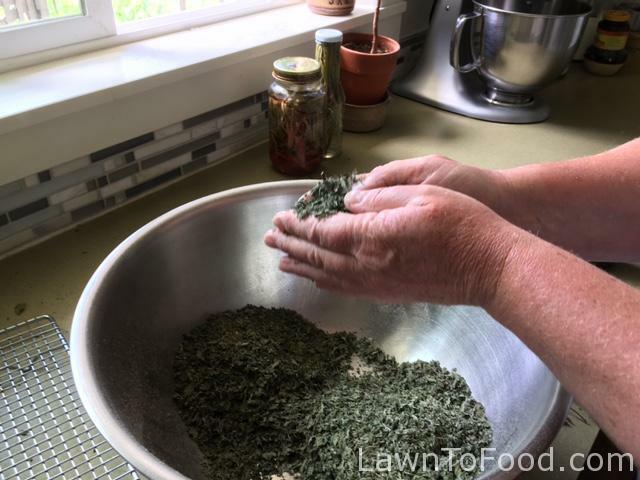 I use Tarragon in my poultry seasoning blend, salad dressings, and Bearnaise sauce. I’ve also got some steeping in vinegar which is a classic in French cuisine. I’ve labelled the jars of dried herbs and am storing them away from direct sunlight. A great reminder, Lynda! Nice to save all those lovely herbs before they go to flower. Thank Cori .. it’s so true, summer flies by! Hope we can have a visit soon!